Since 1991, Bobby Kotick has been running Activision, in which he bought a controlling interest when it was an insolvent video-game company in 1990. The witty Mr. Kotick has since built the company into one of the industry's largest, with net revenues of approximately $2.7 billion. That is due to some of its well-known franchises, especially its hugely popular Guitar Hero, as well as Call of Duty, Spider-Man, Shrek and the Tony Hawk series. More importantly, Activision turbocharged itself when it merged this past year with Vivendi Games, which includes Blizzard Entertainment's World of Warcraft, one the most popular multi-player games. He is also on the board of Yahoo, which we will ask him about even if he won't comment. In addition, Mr. Kotick is a major art patron, serving as vice chairman of the board and chairman of the Committee of Trustees at the Los Angeles County Museum of Art. It took one day to hit $500 million in sales, and another two weeks to double that. That’s more than double the $220 million in sales that Halo 4 achieved last week. Coca-Cola announced today it had appointed Bobby Kotick, CEO of videogame publisher Activision Blizzard, to its board. 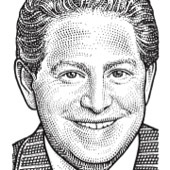 Kotick, 48, has previous boardroom experience, having served as a Yahoo director from 2003 to 2008. “Bobby brings an entrepreneurial mindset and a high level of financial literacy and digital knowledge to our company,” said Coke Chairman and CEO Muhtar Kent. Activision, as the maker of first-person shooter Call of Duty, took a risk bringing a children’s game to market. But Skylanders: Spryo’s Adventure has been totally worth it. Activision’s latest Call of Duty title has shattered all previous entertainment records, grossing more than $775 million in its first five days of sales. Have you ever heard of Specific Media? What about Golden Gate Capital? One of them is likely to be the new owner of Myspace by Thursday, as the deal to sell the distressed social networking icon goes down to the wire for a $20 million to $30 million price and massive layoffs. In a surprise cameo, Activision CEO Bobby Kotick has gone Hollywood, appearing in a new trailer for the movie, “Moneyball.” Based on the excellent Michael Lewis book about the Oakland Athletics baseball team and its quirky manager Billy Beane, Kotick is playing its owner. Yahoo + Icahn = Shareholders Lose Again or Microsoft Ad Deal? Sweet Potato, Spinach, and Shiitake Mushroom Gratin that calls for an entire gallon of heavy cream! Foie Gras-Stuffed Falafel that is categorized under salad! Can we just point out that in a cookbook of only 43 recipes, two call for foie gras?